Before we spend many hours researching a company, we’d like to analyze what insiders, hedge funds and billionaire investors think of the stock first. We would like to do so because the elite investors’ consensus returns have been exceptional. In the following paragraphs, we find out what the billionaire investors and hedge funds think of Melco Resorts & Entertainment Limited (NASDAQ:MLCO). Melco Resorts & Entertainment Limited (NASDAQ:MLCO) investors should be aware of a decrease in support from the world’s most elite money managers of late. MLCO was in 27 hedge funds’ portfolios at the end of the third quarter of 2018. 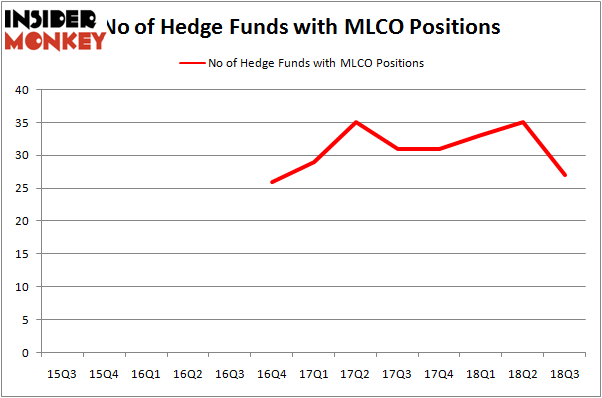 There were 35 hedge funds in our database with MLCO holdings at the end of the previous quarter. With 35 smart money investors long the stock, Melco wasn’t one of the 30 most popular stocks among hedge funds. 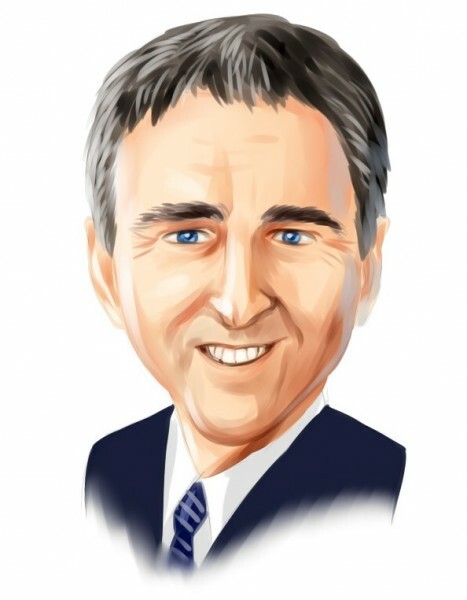 Let’s view the recent hedge fund action encompassing Melco Resorts & Entertainment Limited (NASDAQ:MLCO). What does the smart money think about Melco Resorts & Entertainment Limited (NASDAQ:MLCO)? At the end of the third quarter, a total of 27 of the hedge funds tracked by Insider Monkey were long this stock, a change of -23% from one quarter earlier. Below, you can check out the change in hedge fund sentiment towards MLCO over the last 13 quarters. So, let’s find out which hedge funds were among the top holders of the stock and which hedge funds were making big moves. Among these funds, Tremblant Capital held the most valuable stake in Melco Resorts & Entertainment Limited (NASDAQ:MLCO), which was worth $50.2 million at the end of the third quarter. On the second spot was Alkeon Capital Management which amassed $49.9 million worth of shares. Moreover, Citadel Investment Group, NWI Management, and Two Sigma Advisors were also bullish on Melco Resorts & Entertainment Limited (NASDAQ:MLCO), allocating a large percentage of their portfolios to this stock. Judging by the fact that Melco Resorts & Entertainment Limited (NASDAQ:MLCO) has witnessed falling interest from the smart money, it’s safe to say that there lies a certain “tier” of funds that decided to sell off their full holdings in the third quarter. At the top of the heap, Principal Global Investors’s Columbus Circle Investors cut the biggest stake of the “upper crust” of funds watched by Insider Monkey, valued at close to $42.2 million in stock, and Peter Rathjens, Bruce Clarke and John Campbell’s Arrowstreet Capital was right behind this move, as the fund said goodbye to about $38.3 million worth. These moves are interesting, as aggregate hedge fund interest was cut by 8 funds in the third quarter. Let’s now take a look at hedge fund activity in other stocks similar to Melco Resorts & Entertainment Limited (NASDAQ:MLCO). These stocks are Snap-on Incorporated (NYSE:SNA), Grupo Televisa SAB (NYSE:TV), Juniper Networks, Inc. (NYSE:JNPR), and Athene Holding Ltd. (NYSE:ATH). This group of stocks’ market values match MLCO’s market value. As you can see these stocks had an average of 27 hedge funds with bullish positions and the average amount invested in these stocks was $1059 million. That figure was $398 million in MLCO’s case. Athene Holding Ltd. (NYSE:ATH) is the most popular stock in this table. On the other hand Grupo Televisa SAB (NYSE:TV) is the least popular one with only 19 bullish hedge fund positions. Melco Resorts & Entertainment Limited (NASDAQ:MLCO) is not the least popular stock in this group but hedge fund interest is still below average. This is a slightly negative signal and we’d rather spend our time researching stocks that hedge funds are piling on. In this regard ATH might be a better candidate to consider a long position.